Luke Ramshaw AIRP joined Compass Associates in 2017 and is a key member of the Care Home Division. Prior to joining Compass Associates, Luke worked for 4 years for a global market research consultancy. 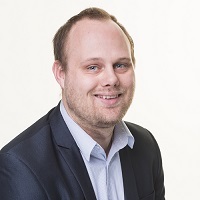 Luke recruits across London, The Home Counties and East Anglia with a focus on operational and home management positions in addition to quality, governance and trouble shooting assignments. Luke attended Reading University where he studied Ancient History. Luke Ramshaw has been very helpful and professional in finding me this job. He has been in touch with me at all stages and guide me through my preparation. It’s good to have someone there to wish you good luck on the day – thank you very much! I enjoyed working with Luke as my link with Compass Associates. He was professional and offered his support in finding a new job. One of the things I appreciated was the regular emails to keep me posted on the progress. In addition, even if there was no change in the progress, I appreciated that he made contact to reassure me. I was also advised in what to expect both at the interview and after. I would definitely recommend Compass Associates. I am very pleased with the professional way that Luke and the Compass Associates team handled my job search. I also very much appreciated the personal touch of sending a congratulations card wishing me well in my new post.